industry! Over 80 Years of Experience speaks loud than our competitions fancy claims! 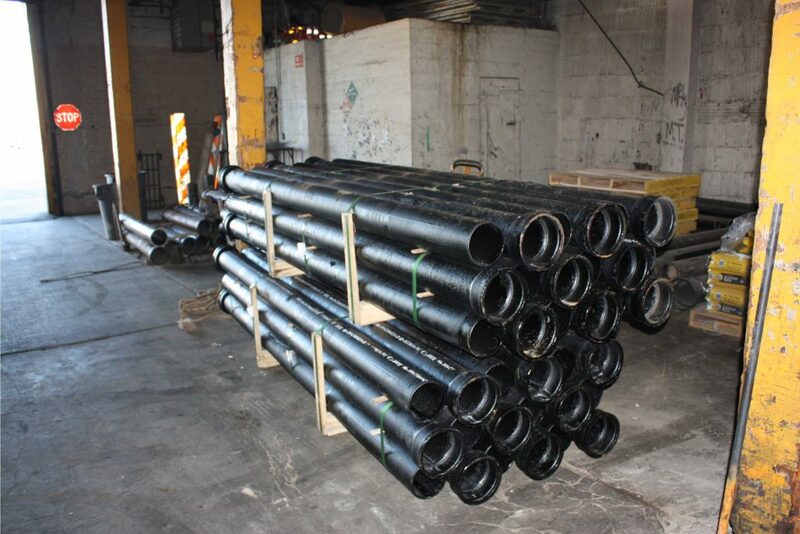 Our facility is stocked with the all the proper inventory we need to get your sewer & water job done right! Stocked and replenished daily with a wide variety of sewer & water pipes, fittings, copper and tools in order to avoid delaying and wasting time. No need for shipment and delivery of the bits and pieces essential for your water main or sewer needs. Our trucks are maintained by our own in-house mechanics, making sure that we can arrive at your site on time to work without delay. 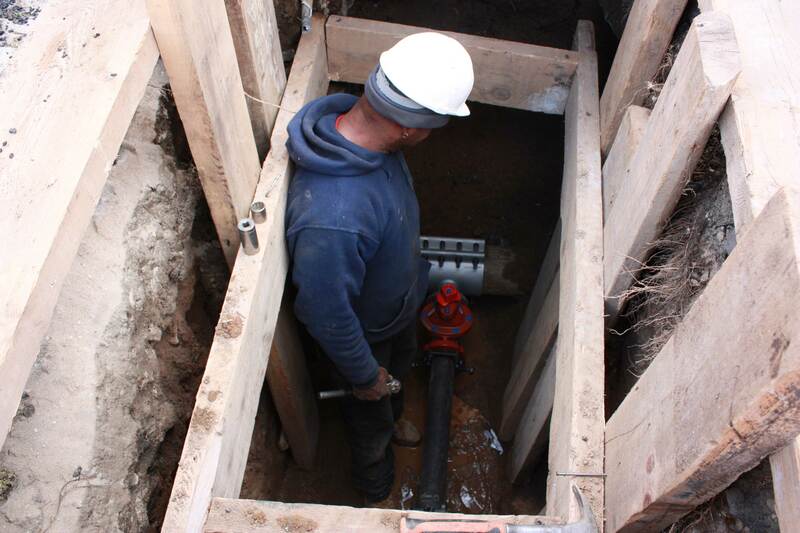 From water main repair emergencies to basic maintenance, you can rely on Alex Figliolia Water & Sewer to provide you with top notch service, customer satisfaction, honesty and all the expert advice that a water main and sewer leader should provide. DEP cease and desist order: These notices generally involve defective malfunctioning home sewers that are creating roadway wash-outs, undermines, etc.If left unattended, the NYC DEP has in the past returned to the location and shut off the water supply to the offending property. At that point the terms of a Ten day notice will apply in addition to having to correct the house sewer problem. Call us to expertly guide you to resolve the DEP Cease and Desist order before it gets too expensive and dangerous. Need Information or Help With the Following Sewer Issues Listed Below? A broken sewer line can be messy, disruptive, and even hazardous to the health of your family, neighbors, customers, or employees. Protect your family or business today and enlist the sewer line replacement and installation services of Alex Figliolia Water & Sewer. With over 80 years of experience in servicing NYC and its five boroughs, you can rely on our specialists to repair or replace your sewer line in a quick and efficient manner.Â Trust the sewer experts of NYC. For a Free Price Quote, call 718-852-8700.